This elf s best friend is playing with his hat while the mouse is hiding in the back. 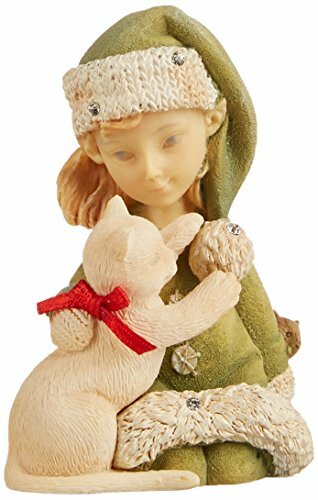 Enesco Gift offers a portfolio of award winning artists and products globally recognized for their quality, originality and sentiment. For more than 50 years, Enesco has been manufacturing the world's most beloved gift, garden and home decor products.